In Almaty, the residents of a 56-apartment building built in the 1960s are happier because they can finally be more comfortable in wintertime. For heat and hot water supply, most urban residential and public buildings in Kazakhstan depend on the centralized heating system in both urban and district ones. However, these systems – a network of heating units and co-generation stations – are outdated and inefficient. If electricity and heating stations do not get modernized through budget investments, then the heating units in buildings (which belong to residents) are not updated either. The task of a UNDP project is to demonstrate the possibilities coming from modernization of heating units in buildings. One of Maksat CAO Residents Association residential buildings in Almaty that received a heating system upgrade. Obsolete equipment and inadequate maintenance resulted in losses of up to 50% of all the energy generated mainly from coal. In a country where winter temperatures can drop as low as -40 C (-40 F), the life of many urban dwellers enduring such inefficient heating conditions and an intermittent supply of hot water is especially tough. Such inefficiency also put Kazakh cities among the ranks of those that emit the most greenhouse gases (GHG) in the world. 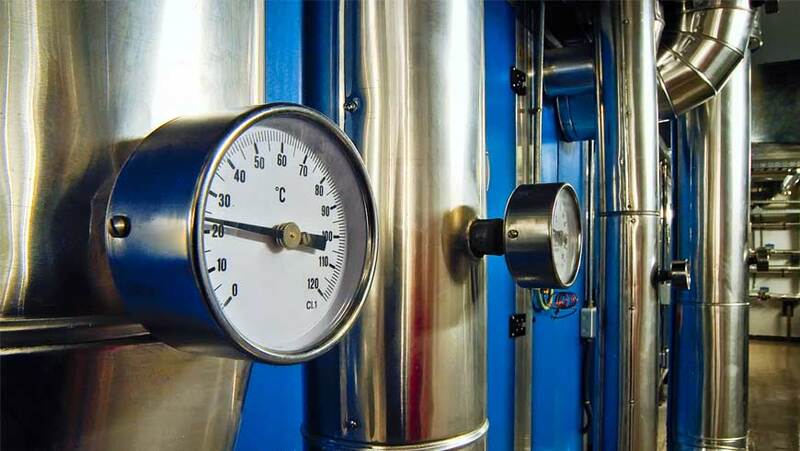 Removing Barriers to Energy Efficiency in Municipal Heat and Hot Water Supply, a GEF-UNDP project, was designed to address these issues by increasing energy efficiency in the district heating supply systems of Almaty, Astana, and Karaganda. The project consisted of several pilots that aimed at removing legal, institutional, and financial barriers existing in Kazakhstan’s energy sector. School N.9 in Astana: Heating system before and after renovation. The project goals ranged from upgrading infrastructure and providing technical expertise to advocating for regulatory changes in the energy sector and testing new energy efficiency financing models. Upgrades such as window insulation, replacement of heating system components, and installation of meters and digital thermostats were among the first improvements that raised residents’ comfort levels. "Residents are finally enjoying consistent indoor temperatures and a steady supply of hot water. The building renovations also led to significant energy cost savings, sometimes up to 30-35%," said Alexandr Belyi, UNDP-GEF project manager. The savings helped recoup the investment costs and finance other renovations and building maintenance without burdening the residents financially. “When we installed the new heating units, the residents agreed to continue to pay the same amount for the heating as they did before, even if with the new system we are saving money. That money ends up in a revolving fund, managed by the residents association, that we use now for maintenance in our building. For example, this year we are repairing the roof, ” added Ms. Valyshova. Until now Kazakhstan’s energy sector was managed exclusively by the state agencies. The project provided a solid opportunity to test a new business model (Energy Service Company ESCOs), which attracted private investors, created new jobs, and stimulated the development of new public-private partnerships. Completed in 2013, the project facilitated the inclusion of energy efficiency concepts in Kazakhstan’s lawmaking. The new Energy Conservation and Efficiency Law, for example, defines roles and responsibilities of government agencies in designing and implementing energy efficiency measures. The Kazakhstan Program on Modernization of Housing and Municipal Infrastructure dedicates large funding to thermal upgrades in residential buildings. “The outcome of this project encouraged the government to launch a country-wide program that will retrofit heating systems in 11,000 residential buildings and benefit about 2 million people,” added Mr. Belyi. To show its continued, decade-long commitment to reducing energy consumption, Kazakhstan signed the Paris Agreement on Climate Change in December 2015, setting a voluntary target to reduce GHG emissions by at least 15% by 2020. Backed by UNDP and the GEF, Kazakhstan also launched the Sustainable Cities project the same year that aims at creating a comfortable and efficient urban environment. With strong commitment to closing the efficiency gap, the government plans to utilize the experience and results of the past projects to further replicate, scale up, and attract and mobilize foreign investments.